The Heliopan 27mm #15 Dark Yellow Filter is a basic contrast filter, primarily for use with black and white film, that very strongly darkens skies and blues, increases contrast, and is often used for outdoor photography to emphasize contrast and shadows. 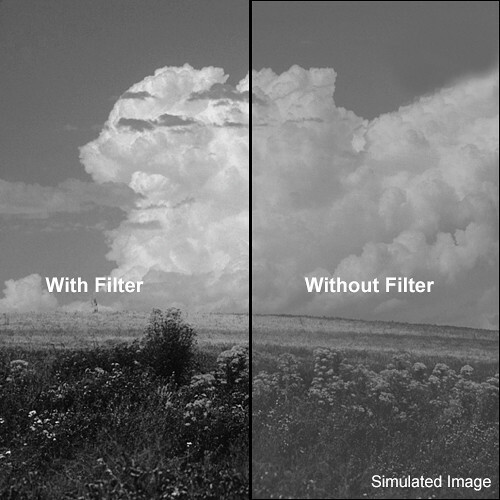 There is an approximate 4x filter factor with this filter, requiring an increase of 2 stops for normal exposure. Dual threading with 27mm front filter threads permits combining with other filters.